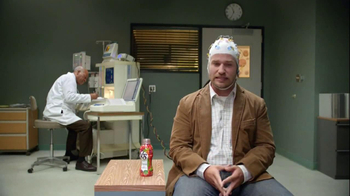 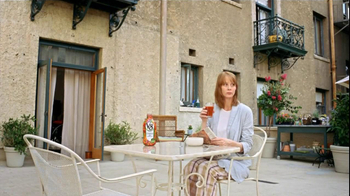 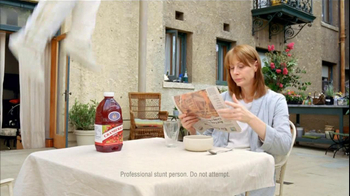 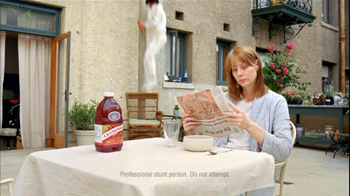 A woman sits down to read the newspaper and has cranberry juice on the table. 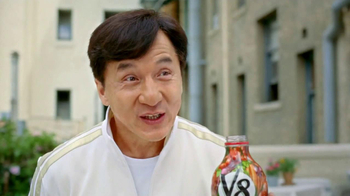 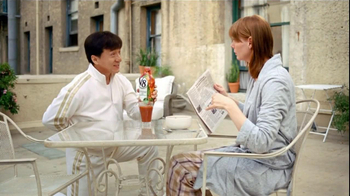 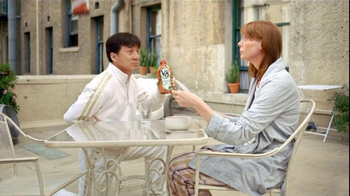 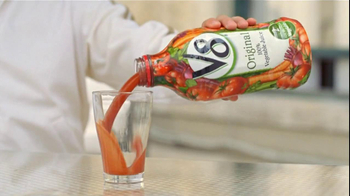 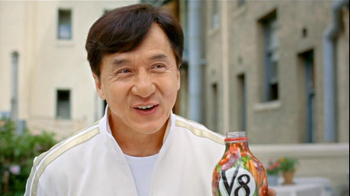 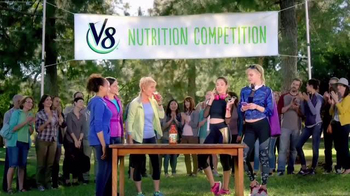 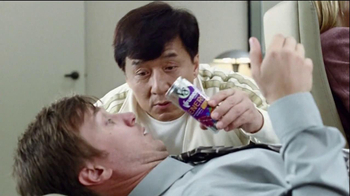 Jackie Chan slides down a pole and catches her attention when he replaces the drink with V8 Original Vegetable juice. 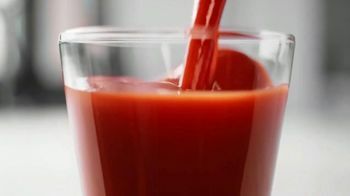 She takes a sip of the drink and he leaves going back the same way he came. 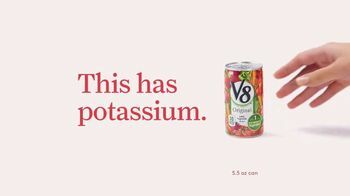 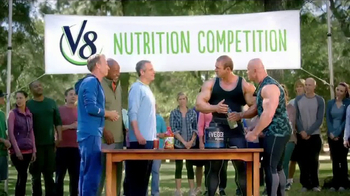 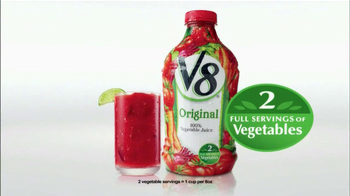 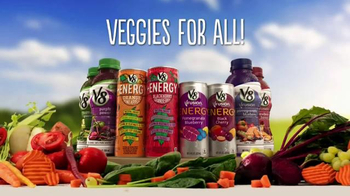 Get half the calories with veggie nutrition with V8 juice.